Wow! I love your unique approach to this sketch and the results are sharp, clean and appealing! This will be a great card for a guy! Thanks for joining us for your first time here at Create with Connie and Mary! We hope you will join us again often! I love your card and the way you created the panels. So creative! And the star focal point is beautiful. Thanks for playing along with us this week at Create with Connie and Mary. So pretty with the grunge in the background. Great job with the sketch and thanks for playing Create with Connie & Mary! I love the way you created the top pieces! So clever! 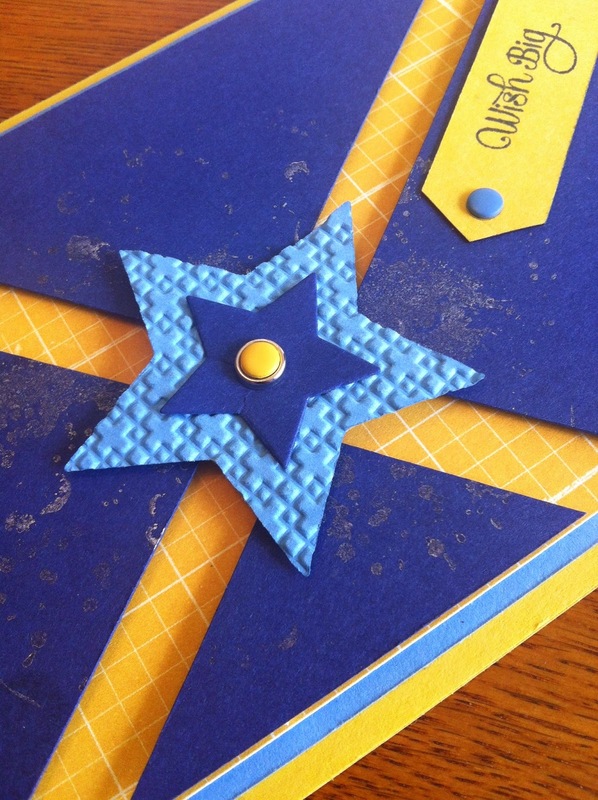 And that grunge stamp looks so great behind the star! Thanks for playing the challenge at Create with Connie and Mary! I just love yellow and blue together...also a striking combination. I love your taking on making the panels instead of adding the stripes! Thanks for playing along this week in the Create with Connie and Mary Thursday Challenge! VERY clever to cut the top layer into slices! LOVE that idea! Thanks for playing along with the sketch challenge this week on Create with Connie and Mary. Awesome design! I love that you cut the top layer to let the bottom show through...too clever! Thanks so much for joining the sketch challenge this week at Create with Connie and Mary!